Camping in NJ at Atlantic Blueberry RV Park, located in Port Republic, New Jersey 08241, is the Southern New Jersey funfilled camping experience. The RV Park is an easy drive to many of the Southern New Jersey and Jersey Shore, Atlantic city area attractions. Atlantic City with its bustling boardwalk and towering resort hotels, Brigantine Beach, a family oriented beach town and Ocean City, a relaxing ocean town for families with children of all ages, are all convenient getawaysfi from our prominently located Atlantic Blueberry RV Park. Campgrounds in NJ are fun, but none better than Atlantic Blueberry! Atlantic Blueberry amenities include a large activity lodge, large pool, playground, beach volleyball court, basketball court, horseshoes pit, and various theme and campground events. RV sites accommodate all types of RVs including Park model homes, motorhomes, fifth wheels, and travel trailers. RV sites are rented daily, weekly, monthly or on a seasonal basis. 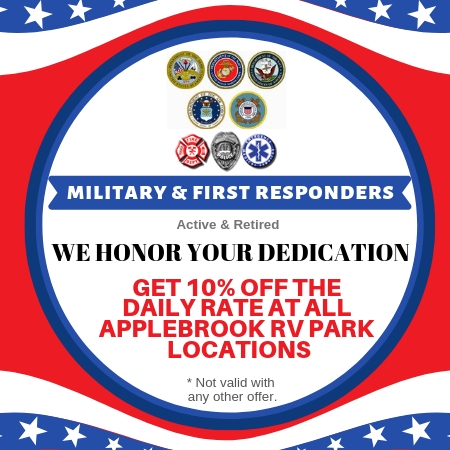 RV rallies and groups are welcome at our Southern NJ campgrounds. 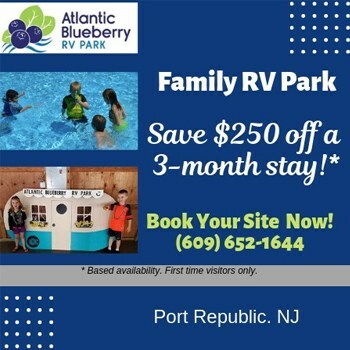 Atlantic Blueberry is one of the Port Republic and Atlantic City dog and pet friendly RV Park and Campgrounds. So feel free to hit the great outdoors with your pet. Bring your dog, cat or other pet on your next camping trip at our pet friendly RV park and campground. 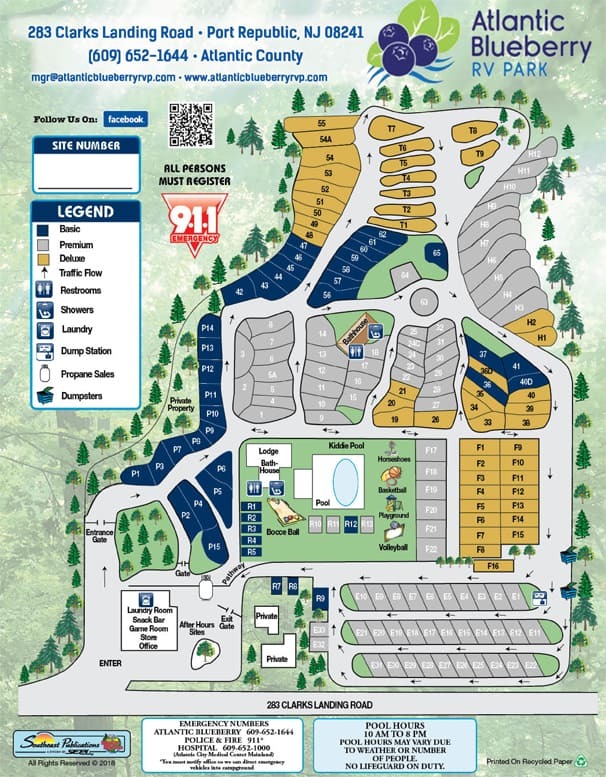 On site management is available to provide our campers and guests the highest quality outdoor hospitality experience. The following Rules & Regulations are for all guests of Atlantic Blueberry RV Park to preserve the park’s facilities and to ensure a pleasant living environment. We ask each guest to comply with these rules and regulations in order to create a compatible community in which we can all be proud. Atlantic City with its bustling boardwalk and towering resort hotels, Brigantine Beach, a family oriented beach town and Ocean City, a relaxing ocean town for families with children of all ages, are all convenient getaways from our prominently located Atlantic Blueberry RV Park.